Everyone knows virtual reality, but have you considered how augmented reality in construction and architecture could help your firm? Augmented reality (AR) is a live, copied view of a physical, real-world environment whose elements are augmented (or supplemented) by computer-generated sensory input. Virtual reality replaces the real world with a simulated one whereas augmented reality takes the real world and adds to it with—in the case of architecture—a 3D model of your design. With the help of advanced augmented-reality technology such as computer vision and object recognition, the information about the surrounding real world of the user becomes interactive and able to be digitally manipulated. In augmented reality, computer software must derive real-world coordinates, independent from the camera or from camera images. 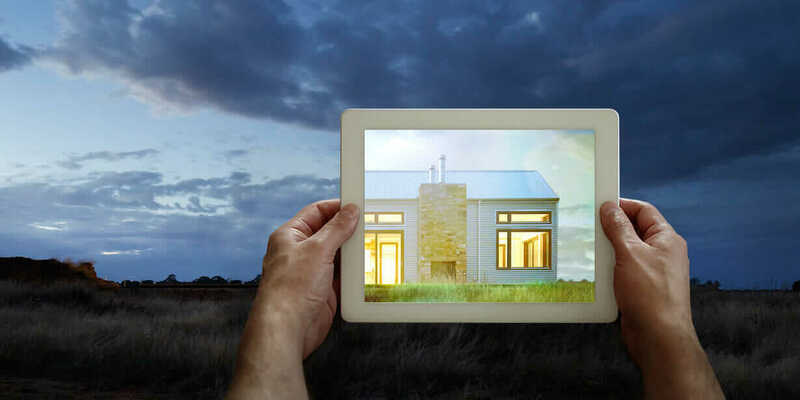 Augmented reality in construction and architecture projects involves placing a 3D model of a proposed design onto an existing space using mobile devices and 3D models. AR has been used in video gaming and media entertainment for a much longer period of time to show a real image interacting with one created from computer graphics. Its utilization matured in the architecture and construction industries when contractors such as Seattle’s BNBuilders began using it to show clients proposed designs in the context of existing conditions using Apple iPads and other mobile devices on a construction site. Seeing an Autodesk Revit or other 3D model in context greatly assists in space planning and design visualization. AR was confined mostly to architecture, engineering, and construction firms with large technology groups that could spend hours integrating Revit models with homemade 3D-game-engine models, but the technology has now been democratized and is available on a per-project basis, so small firms and even sole proprietors can take advantage of it. SmartReality from JBknowledge, a technology company previously known for bringing subcontractors and jobs together, is a mobile AR app available on a per-project basis. It can place a 3D model in context, viewable on an iOS or Android device, whether on a 2D set of plans, in front of an actual site, or even on an image of your project’s site. Users focus on a given design or plan file with the camera on their mobile device; the app then recognizes the design, and the screen overlays a virtual model of what the project will look like upon completion. Anyone can see a Revit model in context (Revit drawings have to be imported into a different format to be recognized), in a full, 360-degree view. Augmented reality has a wealth of design and construction uses beyond visualization, too. It can be used for design analysis to pick out clashes by virtually walking through your completed model. It fits the bill for constructability review by letting the architect and contractor collaborate on changes that have to happen between design and construction due to constructability issues. It can even assist with prefabrication of building components. An oft-cited use of AR came in the aftermath of the 2011 Christchurch earthquake in New Zealand. The University of Canterbury released CityViewAR, which enabled city planners and engineers to visualize buildings that were destroyed in the earthquake. It gave planners a great reference to what used to be there while also letting them gauge the devastation the quake left behind. Since then, it’s been used as a tool throughout Australia for construction and earthquake investigation. To learn more about AR, check out 3 Steps to Tap into Visualization with 3ds Max, and read about virtual reality in Take a Walk Inside Your Designs. This article has been updated. It was originally published in March 2014.